Advocate Brokerage Gains National Recognition from PURE - Scarsdale Premier Insurance Agency | Advocate Brokerage Corp.
Advocate Brokerage has once again been recognized as a PURE Paragon agency, making them the only agency in Westchester County to receive the honor for two consecutive years. 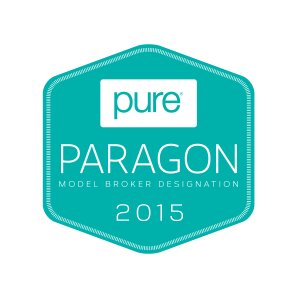 The PURE Paragon honor identifies those independent brokers that have earned PURE’s Model Broker Designation. In fact, this year’s elite group includes only 11 agencies nationwide. PURE (Privilege Underwriters Reciprocal Exchange) is a policyholder-owned insurer dedicated to creating an exceptional experience for responsible high net worth individuals and families. Their product suite includes best-in-class, customizable coverage throughout the U.S for high-value homes, automobiles, jewelry, art, personal umbrella liability, watercraft and flood. Inspired by some of the finest policyholder-owned companies in the world, PURE emphasizes alignment of interests and transparency. PURE’s low cost of capital, careful member selection, and proactive risk management all contribute to highly competitive rates. Advocate Brokerage is more than just an insurance agent; we are trusted colleagues and partners with our clients. As Scarsdale’s premier insurance agency, we educate our clients to help them understand the insurance that will best fill their individual needs, and then search the market for the best coverage and value we can provide. Our philosophy is to bring the highest ethical standards and best quality to our work every day, employing the expertise and relationships developed over 45 years as a local, family-owned business. Advocate Brokerage is proud to have earned the Model Broker Designation and the PURE Paragon honor that follows. We look forward to a continued successful partnership with PURE and to serving the needs of the high net worth individuals within our community together.